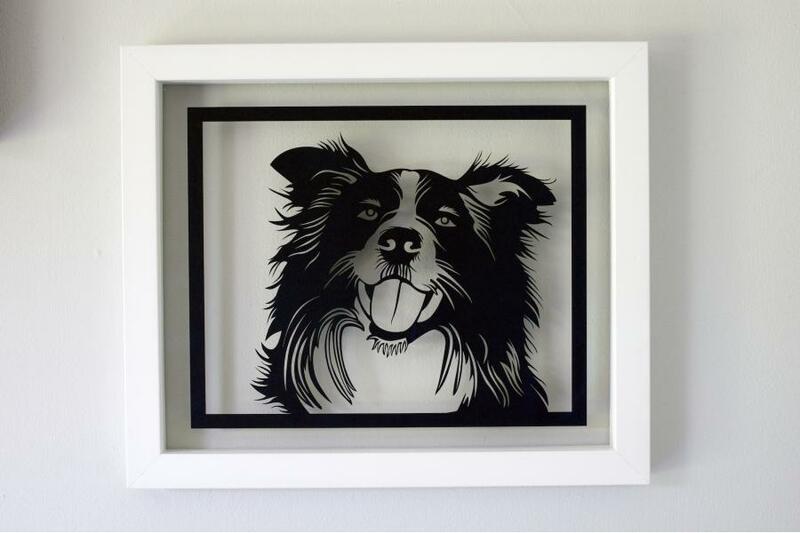 What better way to celebrate man’s best friend than with an adorable dog portrait papercut? Hang it proudly in your home or purchase it as a gift for someone special. 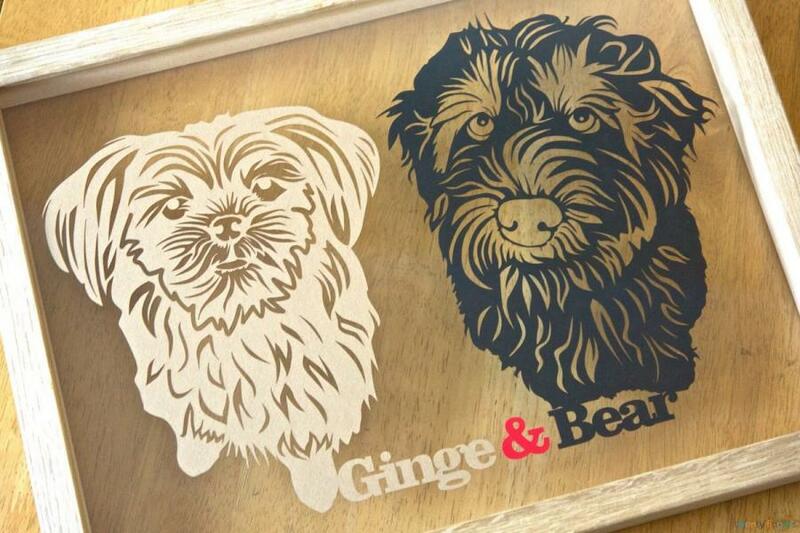 Simply send us a photograph of your dog and we’ll transform it into a personalised portrait papercut. 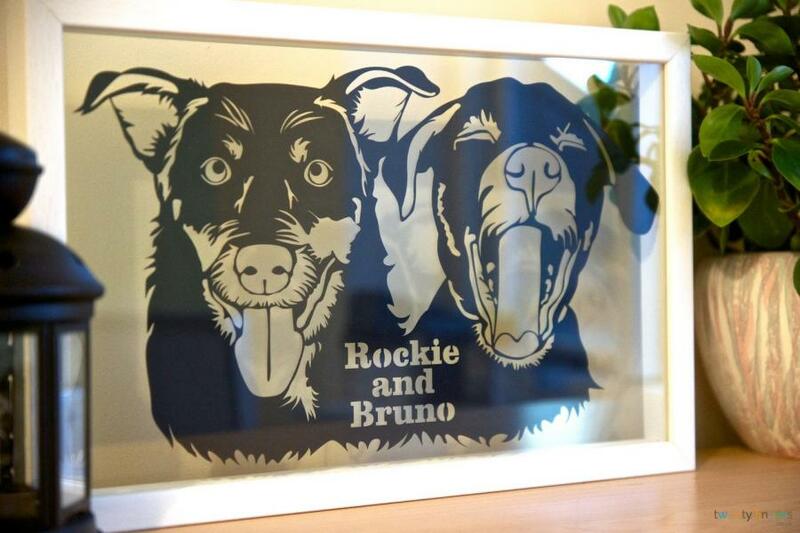 Our personalised pets portrait papercuts are hand made from high quality paper. They are available in a wide range of colours, which you can select above. 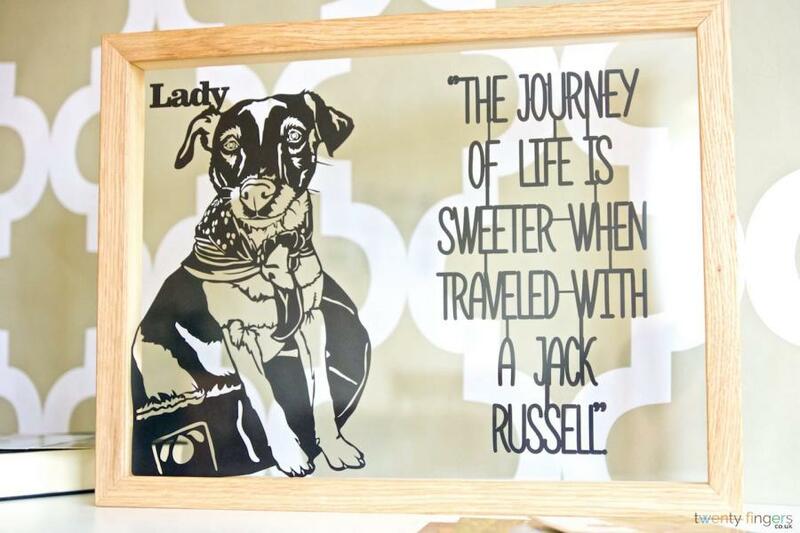 Add a special touch to your dog portrait papercut by purchasing a frame to put it in. We have a number of different finishes for you to choose from including: black, white, oak and walnut. All of our frames are handmade in Buckinghamshire by our local framers. What makes it such a great gift? Suitable for all occasions – The Dog Portrait Papercut will make the ideal gift for dog lovers. Whether you are looking for a birthday present, anniversary present or even dog sympathy gifts, it will make the perfect choice. 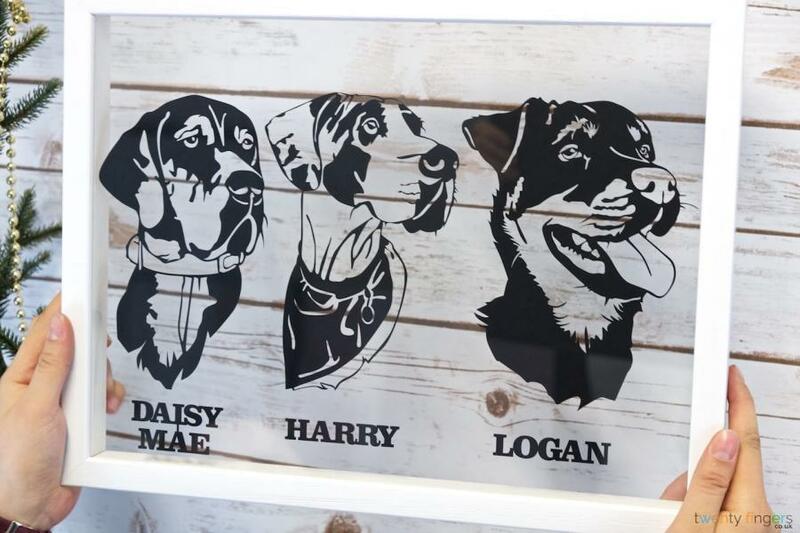 Personalised present - One of the great aspects of this gift is that it can be personalised to feature your dog or the dog belonging to the recipient. 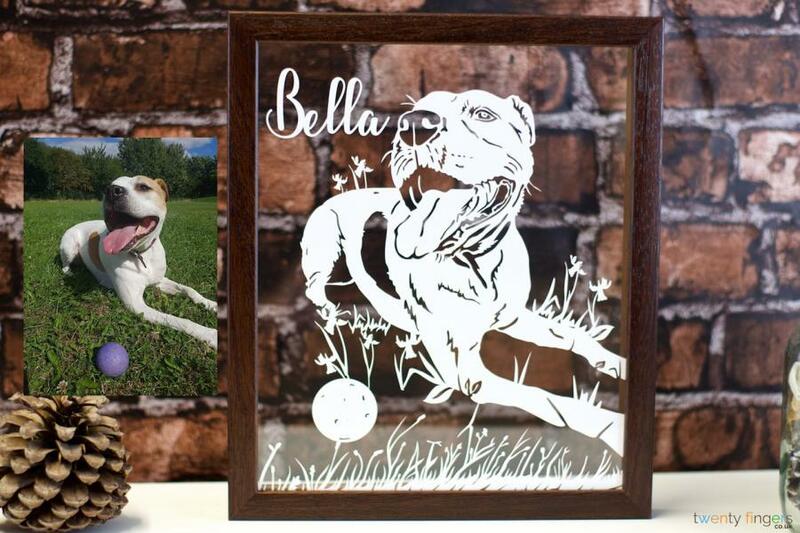 If the person you are buying a gift for really loves their pup, this will be one of the best dog keepsake gifts you could possibly give them. 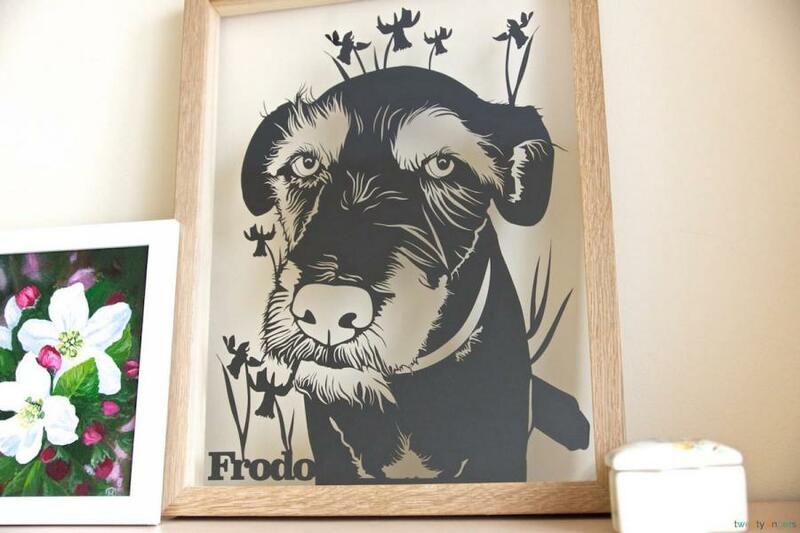 Enhance your home décor – The Dog Portrait Papercut comes in a wide range of colours and frame options, making it suitable for any home décor. Send us a photo of your dog and we will carefully redraw it, before cutting it out and placing it in your chosen frame. 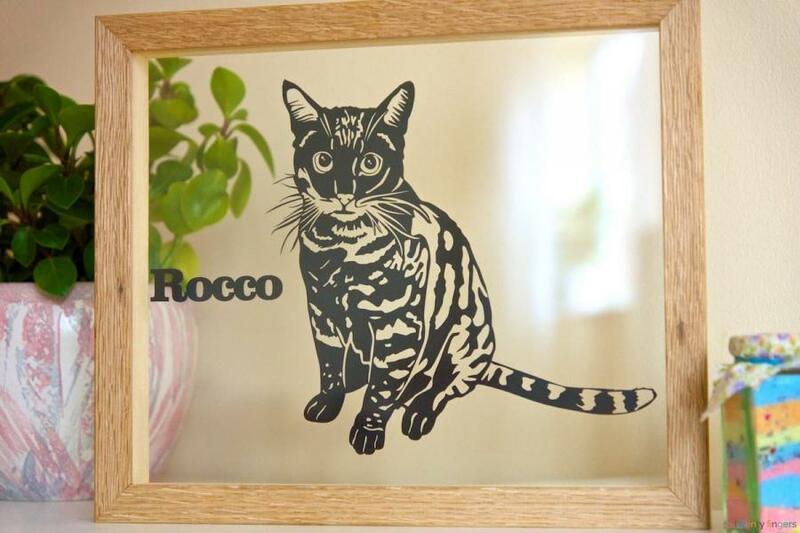 Unframed pet portraits are cut from a single sheet of 21 x 30cm (A4). 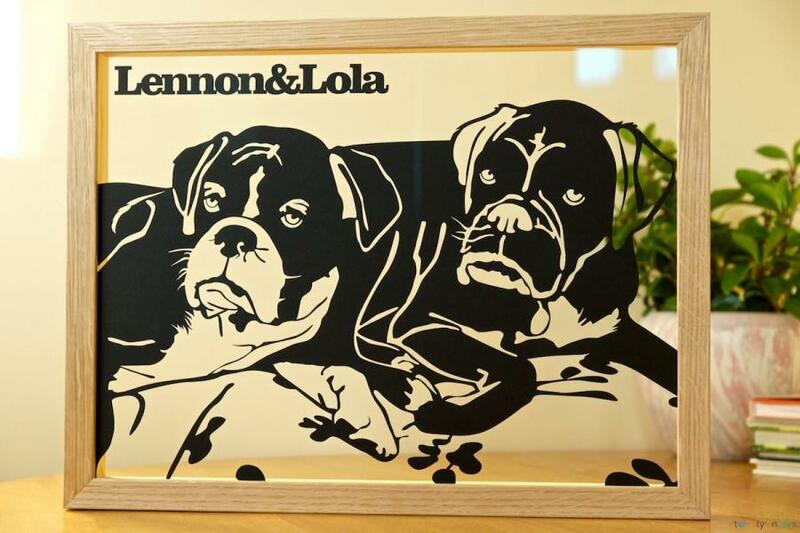 If you choose to have your papercut framed in one of our gorgeous hand made ‘“floating frames” it will be mounted between two sheets of glass and the frames are available in white, black, walnut effect and real unfinished oak. Frame inner (visible) size is 10" x 12" and the outer size is 11.5" x 13.5". These frames are suitable for wall hanging or as freestanding artwork. Contact us if you need custom papercut and frame size. 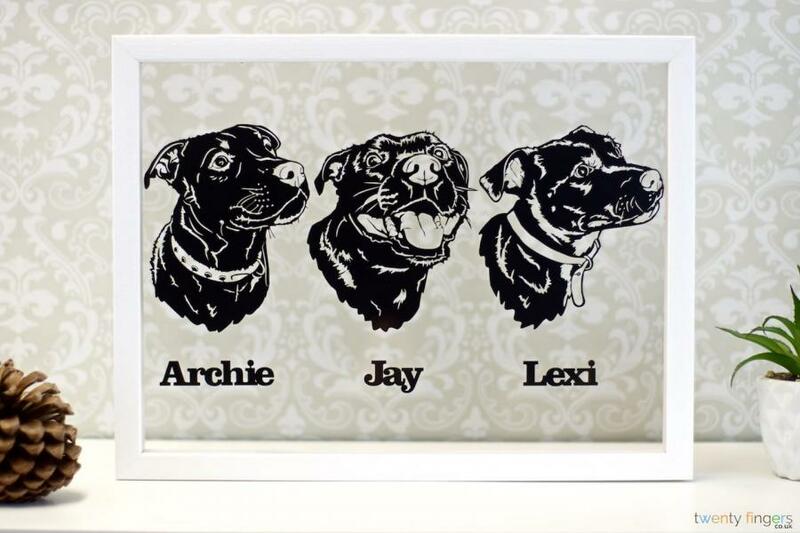 Each Dog Portrait is completely unique and made by hand. If you are searching for the perfect dog lover gifts, look no further. 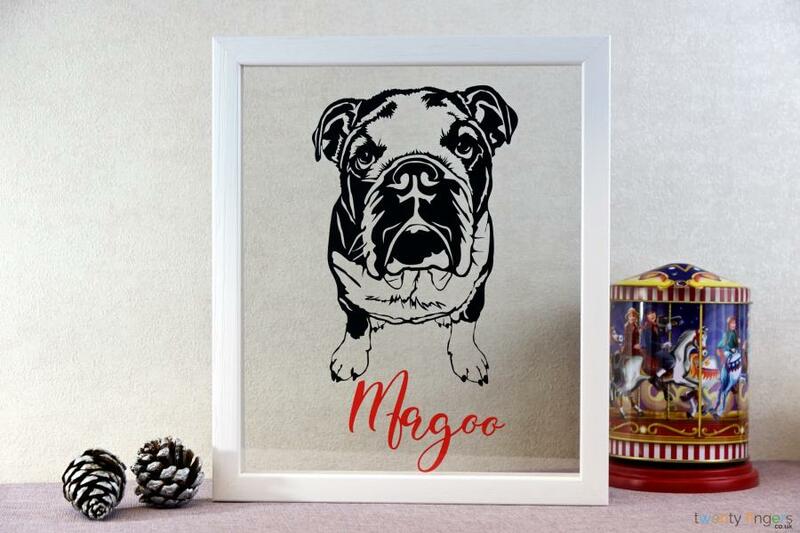 Not only is this product truly unique, but it will also make the perfect keepsake gift for any dog lover out there. Wow I've just received my picture of my boy and it couldn't of arrived at a better time. My boy has been incredibly poorly and has had to have one of his eyes removed and his other eye grafted and I'm picking him up tomorrow from a specialist centre 3 hours away from where I live! This picture is absolutely amazing, it's my boy through and through, I couldn't be happier! I will absolutely be ordering again and soon! I cannot wait to show my parents. Thank you so much, you've put a smile back on my face! Loved the picture of my dads two dogs. Th service and communication was excellent and speedy service! Will be using again and again!!!! Thanks you! I ordered this for my dad for Father's Day . It arrived in good time and it was exceptional! I had his 15 grandchildrens names put on. He's 89 and it's hard to get him gifts but the look on his face and how he read each name was well worth it! I had to contact about a chip and it was replaced by them printing another and sending out in 2 days!!! How amazing! I can stress how glad I am I got this for my dad. It's a beautiful keepsake, such a good idea and good quality and workmanship is quality! I would but again for someone else for a wedding or family member. I am so please with my order, the detail is amazing. I have recommended you to everyone and I will be definitely buying more from you!. I dealt with Lana. I placed my order along with the pdf of the photo then 2 days later I received my email preview and 2 days after that it landed on my door step. I received 2 beaitiful papercuts of my dogs recently. There was a problem with one of them at first (through no fault of Lana`s) and when I contacted her about the issue she could not have been more helpful or pleasant. It was fixed very quickly and free of charge, I could not be happier with the service or the product. Thanks again. 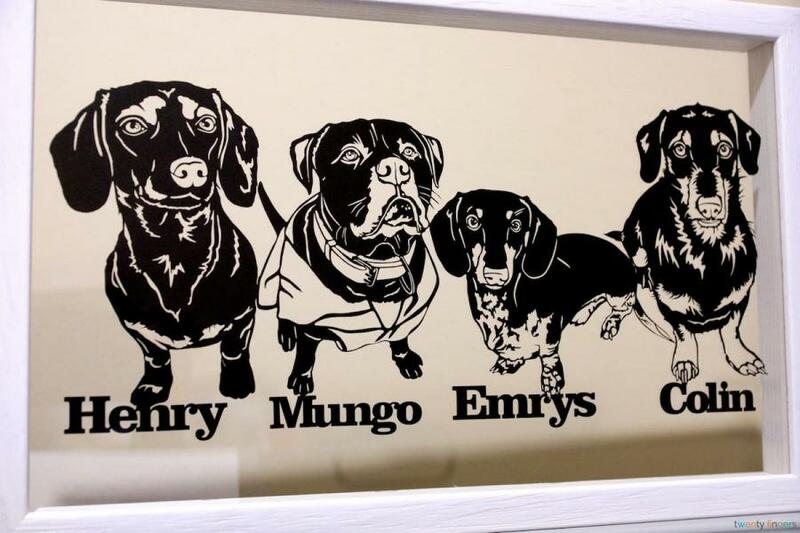 Absolutely brilliant, the craftsmanship is excellent my fiancée absolutely loved the artwork of our two dogs! The wrapping was beautiful too. A perfect personal gift! Excellent service. I had one done for my boyfriend for Christmas of our dogs it was perfect. I ordered two pictures and frames from here before Christmas. From start to finish the communication was 5*. I had issues ordering (mainly because I was unsure what I wanted to order) but I got in touch and got replies back almost straight away - even late at night. When we got the pictures and frames we loved them. Amazing would definitely recommend. Absolutely loved it! Great present for my Mum. Would definitely recommend and use again! I loved my picture of my Dogs Tetley and Mitzi! 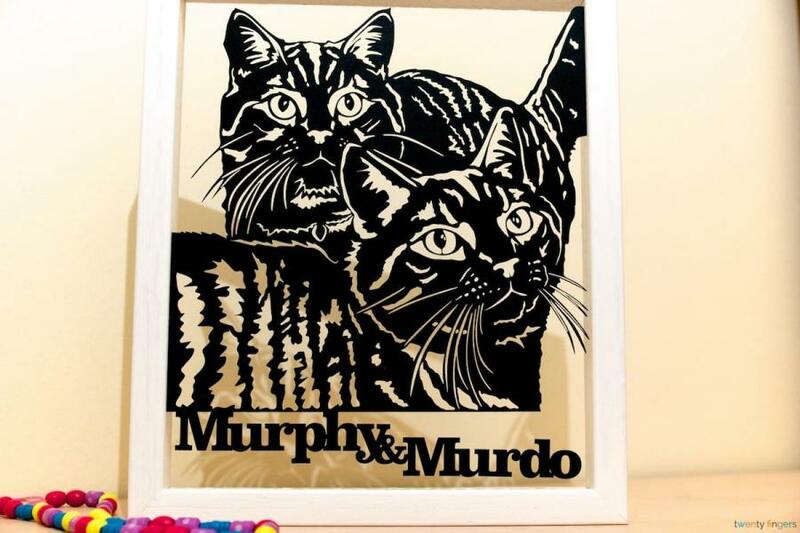 Recommend twentyfingers to make a lovely individual picture for yourself or great gift! 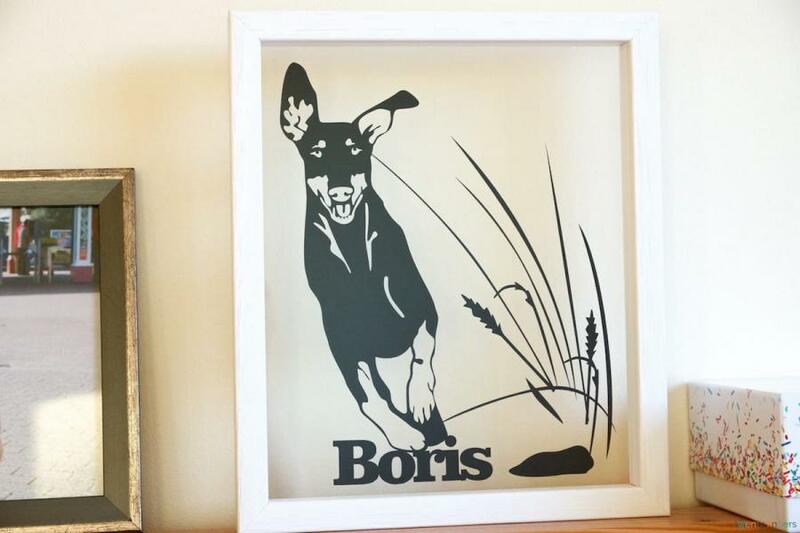 I ordered a silhouette of our dog for my husband's birthday and he really liked it even though it was an "out of the box" gift! Came nicely wrapped, too. Thanks! Fantastic!!! Amazing talent, lovely comunication and done super quickly. Bought as a gift but I am so impressed I will be ordering another of my old boy! Thank you!!! So pretty and arrived very fast to the U.S. I absolutely love the portrait of my Scottish Terrier! Lana did a fantastic job and was very easy to work with. Very well packed and shipping was prompt.